“Medicine. I propose, on the present occasion, to depart from the course pursued by my predecessors, and instead of confining myself to that stale subject, medical reform, and that everyday recurring matter of medical ethics, to take a cursory glance of the progress that medicine has made since our last meeting. With the exception of those improvements that the treatment of diseases of the nervous centres has derived from the researches of Brown-Séquard and Lockhart Clarke, and the introduction of that new instrument for testing the character of the circulation (which, by the kindness of one of our members, Dr. Clapton, is now on the table, and which I have no doubt he will kindly explain to us), medicine proper seems to have made no very important advance. Pathology, physiology, and vital chemistry, have been pursuing the usual course of verifying, correcting, or rejecting the discoveries of past days. Chemistry, in its more extended sense, has been investigating the condition of the atmosphere, and trying to determine how far its constitution, as to that condition of its oxygen called ozone, determines the spread of epidemics and the character of disease; but as yet with no great practical result. But the question must some day arise, if it have not already done so, whether there is not another constituent which is exerting an influence on the animal economy; I mean an increase, at present inappreciable, of its carbonic acid gas. You are all aware that the subject of the possible exhaustion of our coal-fields, and its relation to the future of our country, which has often been hinted at by the philosopher, has just now seriously engaged the attention of our senate, not as a matter of public health, but as one of political economy. A new senator, but an old philosopher, feeling that the consideration of the subject of the taxation of his country was one, and not the least important one, of his duties, and yet too honest to regard taxes as one of the many means of spending without regard to repaying, suggested that we should try to repay some portion at least of our national debt before we had exhausted that mine of wealth which our coal-beds give us. A new feature most certainly in politics, but one that speaks well for the coming times of legislation, and one from which I hope medicine may soon derive some advantage. “Sufficient for the day is the evil thereof,” and “After us the Deluge,” has been too long the ruling creed of Governments, at all events in matters of finance. But, I think, had he consulted the two sciences of physiology and chemistry, he need hardly have troubled himself about the matter. They would, I think, have told him that, when our coal-beds (at all events, if there be the quantity presumed) were gone, there would be nobody left to claim or to pay; for, before even the half of the coal of the world is consumed (and I do not suppose our national energy will before that time have exhausted the stock of our own country), the atmosphere will have again assumed a condition fatal to animal life – nearly that condition which a Book, in which I trust we all believe, describes it to have had, when its density, nearly three times that of the present atmosphere, held up and divided the firmament of water that was above it from that which was below it; when the very matter of these coal-beds floated in a gaseous form round earth’s surface, waiting to be fixed and solidified by the action of a gigantic flora, and stored for the use of coming man. From the sublime to the ridiculous is said to be but one step; and from our gigantic national debt to our own fireside, and domestic expenditure in this matter, is but a short one, and to us an equally interesting and important one. What would be our feelings, if told one snowy morning in December that we had come to our last bushel of coal? We who live near the woods of Sussex might hope to get through the winter with their aid; but we should certainly feel a strong disposition to move off to a warmer climate ere the next winter began, and leave our houses and lands to settle our debt; for, in this free country, whilst coal does last, the manufacturer will take care to have his wants supplied in spite of all forebodings. To return to that medical point at which I hinted. Let me ask this question, Is the atmosphere suffering from the extraordinary evolution of carbonic acid gas which is now going on? Is the pigmy and stunted flora of the present age equal to its decomposition, to the absorption of the carbon which combustion is now daily producing? and if so, will it continue to be so, seeing that the spread of the human family is daily diminishing the forest growths? Must there not some day be a perceptible increase of the present proportion of carbon in the atmosphere? and may not some already inappreciable increase be the cause of the present type of disease, as distinguished from that which prevailed at the beginning of this century, and which I myself have lived long enough to witness? May not the altered type of disease have been produced rather from the presence of a depressing agent in the shape of carbonic acid gas, than from a less vivifying condition of the oxygen or its compounds of ozone? We all, I am sure, regret to find that that dire and fatal malady, the cholera, has again reached our shores. Though it is now nearly fifty yers since this malady first skewed itself in our dependencies, where it has pretty constantly been under the eyes of our professional brethren, and more than thirty years since it came among us, it must be confessed that, beyond treating the symptoms and succouring the powers of life, we have learned but little about it. Various plans of cure have been tried, and each has had its advocates; but as yet there has not been one that has been admitted to be the best by the general voice of the profession. I have ventured to bring this subject to your notice, because I hold that it will, should this malady again spread in this country as it did in 1832, be the duty of every one of us to try to add his mite to the elucidation of the disease or verification of any plan of treatment that may come before him. The last plan of treatment propounded, which its author calls the eliminative one, is founded on the assumption, undoubtedly a true one, that the disease is a blood-poison, and that, therefore, it is desirable to assist Nature in the efforts she makes to rid herself of the poison by mild purgatives, and not by the opiates and stimulants that have been hitherto used. It is asserted that the one rids the system of the poison, which the other locks up. Before we place implicit confidence in this view, it must, I think, be shown that the diarrhoea that generally prevails at the same time as the cholera is not choleraic, or connected with that disease, but only an accompaniment, under the influence of which the poison of cholera has a better chance of exerting its power; for most assuredly hitherto it has been set down as a fact, that the cholera has generally attacked those in whom this condition has been neglected. Now, if elimination is to be the plan, it surely ought to be applied before that storm of symptoms begins, which, however curative they may be, so frequently prove fatal by their own severity. There is unquestionably a stage of incubation, even in those cases which die ere Nature sets up this eliminative action. The poison cannot well begin its action the moment it is taken into the system. Is there, then, no symptom by which this period can be distinguished? and is there no mode by which the poison can be neutralised, ere it makes itself an integral part of the blood? Can inhalation and hypodermic injection offer us no ready means of making a quick impression on the system? Certainly, if we are to look upon spasm of the smaller pulmonary arteries as the chief of the pathological conditions, inhalation would seem to offer us the readiest mode of reaching it. There is another plan of treatment which has been suggested in our JOURNAL; namely, that of transfusion of defibrinated blood. But I think the proposers of this would have done well to have taken a leaf out of the book of that sagacious cook who advised her readers to catch the hare before deciding how it was to be dressed; for, however good this plan, it would be only the rich who could hope to get it in any extensive epidemic. Some of the latest papers on atmospheric and oceanic circulation are shown below. First a few highlighted papers with abstracts and then a list of some other papers. If this subject interests you, be sure to check also the other papers – they are by no means less interesting than the highlighted ones. Abstract: We demonstrated atmospheric responses to a reduction in Arctic sea ice via simulations in which Arctic sea ice decreased stepwise from the present-day range to an ice-free range. In all cases, the tropospheric response exhibited a negative Arctic Oscillation (AO)-like pattern. An intensification of the climatological planetary-scale wave due to the present-day sea ice reduction on the Atlantic side of the Arctic Ocean induced stratospheric polar vortex weakening and the subsequent negative AO. Conversely, strong Arctic warming due to ice-free conditions across the entire Arctic Ocean induced a weakening of the tropospheric westerlies corresponding to a negative AO without troposphere-stratosphere coupling, for which the planetary-scale wave response to a surface heat source extending to the Pacific side of the Arctic Ocean was responsible. Because the resultant negative AO-like response was accompanied by secondary circulation in the meridional plane, atmospheric heat transport into the Arctic increased, accelerating the Arctic amplification. Abstract: We analyze the influence of the Atlantic sea surface temperature multi-decadal variability on the day-by-day sequence of large-scale atmospheric circulation patterns (i.e. the “weather regimes”) over the Euro-Atlantic region. In particular, we examine of occurrence of weather regimes from 1871 to present. This analysis is conducted by applying a clustering technique on the daily mean sea level pressure field provided by the 20th Century Reanalysis project, which was successfully applied in other studies focused on the Atlantic Multi-decadal Oscillation (AMO). In spring and summer, results show significant changes in the frequencies of certain weather regimes associated with the phase shifts of the AMO. These changes are consistent with the seasonal surface pressure, precipitation, and temperature anomalies associated with the AMO shifts in Europe. Abstract: Theories suggest that the Atlantic Meridional Overturning Circulation (AMOC) can exhibit a hysteresis where, for a given input of fresh water into the north Atlantic, there are two possible states: one with a strong overturning in the north Atlantic (on) and the other with a reverse Atlantic cell (off). A previous study showed hysteresis of the AMOC for the first time in a coupled general circulation model (Hawkins et al. in Geophys Res Lett. doi:10.1029/2011GL047208, 2011). In this study we show that the hysteresis found by Hawkins et al. (2011) is sensitive to the method with which the fresh water input is compensated. If this compensation is applied throughout the volume of the global ocean, rather than at the surface, the region of hysteresis is narrower and the off states are very different: when the compensation is applied at the surface, a strong Pacific overturning cell and a strong Atlantic reverse cell develops; when the compensation is applied throughout the volume there is little change in the Pacific and only a weak Atlantic reverse cell develops. We investigate the mechanisms behind the transitions between the on and off states in the two experiments, and find that the difference in hysteresis is due to the different off states. We find that the development of the Pacific overturning cell results in greater atmospheric moisture transport into the North Atlantic, and also is likely responsible for a stronger Atlantic reverse cell. These both act to stabilize the off state of the Atlantic overturning. Abstract: It has been hypothesised that the Arctic amplification of temperature changes causes a decrease in the northward temperature gradient in the troposphere, thereby enhancing the oscillation of planetary waves leading to extreme weather in mid-latitudes. To test this hypothesis, we study the response of the atmosphere to Arctic amplification for a projected summer sea-ice-free period using an atmospheric model with prescribed surface boundary conditions from a state-of-the-art Earth system model. Besides a standard global warming simulation, we also conducted a sensitivity experiment with sea ice and sea surface temperature anomalies in the Arctic. We show that when global climate warms, enhancement of the northward heat transport provides the major contribution to decrease the northward temperature gradient in the polar troposphere in cold seasons, causing more oscillation of the planetary waves. However, while Arctic amplification significantly enhances near-surface air temperature in the polar region, it is not large enough to invoke an increased oscillation of the planetary waves. Abstract: The winter North Atlantic Oscillation is the primary mode of atmospheric variability in the North Atlantic region and has a profound influence on European and North American winter climate. Until recently, seasonal variability of the North Atlantic Oscillation was thought to be largely driven by chaotic and inherently unpredictable processes. However, latest generation seasonal forecasting systems have demonstrated significant skill in predicting the North Atlantic Oscillation when initialized a month before the onset of winter. Here we extend skilful dynamical model predictions to more than a year ahead. The skill increases greatly with ensemble size due to a spuriously small signal-to-noise ratio in the model, and consequently larger ensembles are projected to further increase the skill in predicting the North Atlantic Oscillation. We identify two sources of skill for second-winter forecasts of the North Atlantic Oscillation: climate variability in the tropical Pacific region and predictable effects of solar forcing on the stratospheric polar vortex strength. We also identify model biases in Arctic sea ice that, if reduced, may further increase skill. Our results open possibilities for a range of new climate services, including for the transport, energy, water management and insurance sectors. Some of the latest papers on past climate changes are shown below. First a few highlighted papers with abstracts and then a list of some other papers. If this subject interests you, be sure to check also the other papers – they are by no means less interesting than the highlighted ones. Abstract: The observed late twentieth century warming must be assessed in relation to natural long-term variations of the climatic system. Here, we present a Northern Hemisphere (NH) temperature reconstruction for the mid-to-late Holocene of the past 6000 years, based on a synthesis of existing paleo-temperature proxies that are capable of revealing centennial-scale variability. This includes 56 published temperature records across the NH land areas, with a sampling resolution ranging from 1 to 100 years and a time span of at least 1000 years. The composite plus scale (CPS) method is adopted with spatial weighting to develop the NH temperature reconstruction. Our reconstruction reveals abrupt cold epochs that match well the Bond events during the past 6000 years. The study further reveals two prominent cycles in NH temperature: 1700–2000-year cycle during the mid-to-late Holocene and 1200–1500-year cycle during the past 3500 years. Our reconstruction indicates that the late twentieth century NH temperature and its rate of warming are both unprecedentedly high over the past 5000 years. By comparing our reconstruction with the projected temperature increase scenarios, we find that temperature by the end of the twenty-first century would likely exceed any peaks during the mid-to-late Holocene. Abstract: The last interglacial period (LIG,~129–116 thousand years ago) provides the most recent case study of multimillennial polar warming above the preindustrial level and a response of the Greenland and Antarctic ice sheets to this warming, as well as a test bed for climate and ice sheet models. Past changes in Greenland ice sheet thickness and surface temperature during this period were recently derived from the North Greenland Eemian Ice Drilling (NEEM) ice core records, northwest Greenland. The NEEM paradox has emerged from an estimated large local warming above the preindustrial level (7.5 ± 1.8 °C at the deposition site 126 kyr ago without correction for any overall ice sheet altitude changes between the LIG and the preindustrial period) based on water isotopes, together with limited local ice thinning, suggesting more resilience of the real Greenland ice sheet than shown in some ice sheet models. Here, we provide an independent assessment of the average LIG Greenland surface warming using ice core air isotopic composition (δ15N) and relationships between accumulation rate and temperature. The LIG surface temperature at the upstream NEEM deposition site without ice sheet altitude correction is estimated to be warmer by +8.5 ± 2.5 °C compared to the preindustrial period. This temperature estimate is consistent with the 7.5 ± 1.8 °C warming initially determined from NEEM water isotopes but at the upper end of the preindustrial period to LIG temperature difference of +5.2 ± 2.3 °C obtained at the NGRIP (North Greenland Ice Core Project) site by the same method. Climate simulations performed with present-day ice sheet topography lead in general to a warming smaller than reconstructed, but sensitivity tests show that larger amplitudes (up to 5 °C) are produced in response to prescribed changes in sea ice extent and ice sheet topography. Abstract: CO2-induced global warming will affect seasonal to decadal temperature patterns. Expected changes will be particularly strong in extratropical regions where temperatures will increase at faster rates than at lower latitudes. Despite that, it is still poorly constrained how precisely short-term climate dynamics will change in a generally warmer world, particularly in nearshore surface waters in the extratropics, i.e., the ecologically most productive regions of the ocean on which many human societies depend. Specifically, a detailed knowledge of the relationship between pCO2 and seasonal SST is crucial to understand interactions between the ocean and the atmosphere. In the present investigation, we have studied for the first time how rising atmospheric pCO2 levels forced surface temperature changes in Central Europe (paleolatitude ~ 45 °N) during the mid-Oligocene (from ca. 31 to 25 Ma), a time interval of Earth history during which global conditions were comparable to those predicted for the next few centuries. For this purpose, we computed numerical climate models for the Oligocene (winter, summer, annual average) assuming an atmospheric carbon dioxide rise from 400 to 560 ppm (current level to two times pre-industrial levels, PAL) and from 400 to 840 ppm (= three times PAL), respectively. These models were compared to seasonally resolved sea surface temperatures (SST) reconstructed from δ18O values of fossil bivalve shells (Glycymeris planicostalis, G. obovata, Palliolum pictum, Arctica islandica and Isognomon maxillata sandbergeri) and shark teeth (Carcharias cuspidata, C. acutissima and Physogaleus latus) collected from the shallow water deposits of the Mainz and Kassel Basins (Germany). Multi-taxon oxygen isotope-based reconstructions suggest a gradual rise of temperatures in surface waters (upper 30 to 40 m), on average, by as much as 4 °C during the Rupelian stage followed by a 4 °C cooling during the Chattian stage. Seasonal temperature amplitudes increased by ca. 2 °C during the warmest time interval of the Rupelian stage, with warming being more pronounced during summer (5 °C) than during winter (3 °C). According to numerical climate simulations, the warming of surface waters during the early Oligocene required a CO2 increase by at least 160 ppm, i.e., 400 ppm to 560 ppm. Given that atmospheric carbon dioxide levels predicted for the near future will likely exceed this value significantly, the Early Oligocene warming gives a hint of the possible future climate in Central Europe under elevated CO2 levels. Abstract: In geological outcrops and drill cores from reef frameworks, the skeletons of scleractinian corals are usually leached and more or less completely transformed into sparry calcite because the highly porous skeletons formed of metastable aragonite (CaCO3) undergo rapid diagenetic alteration. Upon alteration, ghost structures of the distinct annual growth bands often allow for reconstructions of annual extension ( =  growth) rates, but information on skeletal density needed for reconstructions of calcification rates is invariably lost. This report presents the bulk density, extension rates and calcification rates of fossil reef corals which underwent minor diagenetic alteration only. The corals derive from unlithified shallow water carbonates of the Florida platform (south-eastern USA), which formed during four interglacial sea level highstands dated approximately 3.2, 2.9, 1.8, and 1.2 Ma in the mid-Pliocene to early Pleistocene. With regard to the preservation, the coral skeletons display smooth growth surfaces with minor volumes of marine aragonite cement within intra-skeletal porosity. Within the skeletal structures, voids are commonly present along centres of calcification which lack secondary cements. Mean extension rates were 0.44 ± 0.19 cm yr−1 (range 0.16 to 0.86 cm yr−1), mean bulk density was 0.96 ± 0.36 g cm−3 (range 0.55 to 1.83 g cm−3) and calcification rates ranged from 0.18 to 0.82 g cm−2 yr−1 (mean 0.38 ± 0.16 g cm−2 yr−1), values which are 50 % of modern shallow-water reef corals. To understand the possible mechanisms behind these low calcification rates, we compared the fossil calcification rates with those of modern zooxanthellate corals (z corals) from the Western Atlantic (WA) and Indo-Pacific calibrated against sea surface temperature (SST). In the fossil data, we found a widely analogous relationship with SST in z corals from the WA, i.e. density increases and extension rate decreases with increasing SST, but over a significantly larger temperature window during the Plio-Pleistocene. With regard to the environment of coral growth, stable isotope proxy data from the fossil corals and the overall structure of the ancient shallow marine communities are consistent with a well-mixed, open marine environment similar to the present-day Florida Reef Tract, but variably affected by intermittent upwelling. Upwelling along the platform may explain low rates of reef coral calcification and inorganic cementation, but is too localised to account also for low extension rates of Pliocene z corals throughout the tropical WA region. Low aragonite saturation on a more global scale in response to rapid glacial–interglacial CO2 cyclicity is also a potential factor, but Plio-Pleistocene atmospheric pCO2 is generally believed to have been broadly similar to the present day. Heat stress related to globally high interglacial SST only episodically moderated by intermittent upwelling affecting the Florida platform seems to be another likely reason for low calcification rates. From these observations we suggest some present coral reef systems to be endangered from future ocean warming. Abstract: Northern Hemisphere cooling between 1400 and 1900 in the Common Era (CE) resulted in the expansion of glaciers during a period known as the ‘Little Ice Age’ (LIA). Early investigation of recent advances of Himalayan glaciers assumed that these events were synchronous with LIA advances identified in Europe, based on the appearance and position of moraines and without numerical age control. However, applications of Quaternary dating techniques such as terrestrial cosmogenic nuclide dating have allowed researchers to determine numerical ages for these young moraines and clarify when glacial maxima occurred. This paper reviews geochronological evidence for the last advance of glaciers in the Himalaya. The 66 ages younger than 2000 years (0–2000 CE) calculated from 138 samples collected from glacial landforms demonstrate that peak moraine building occurred between 1300 and 1600 CE, slightly earlier than the coldest period of Northern Hemisphere air temperatures. The timing of LIA advances varied spatially, likely influenced by variations in topography and meteorology across and along the mountain range. Palaeoclimate proxies indicate cooling air temperatures from 1300 CE leading to a southward shift in the Asian monsoon, increased Westerly winter precipitation and generally wetter conditions across the range around 1400 and 1800 CE. The last advance of glaciers in the Himalaya during a period of variable climate resulted from cold Northern Hemisphere air temperatures and was sustained by increased snowfall as atmospheric circulation reorganised in response to cooling during the LIA. 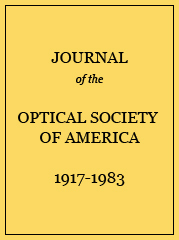 Journal of the Optical Society of America (JOSA) was published between 1917 and 1983. After that it continued as two journals: JOSA A: Optics and Image Science and JOSA B: Optical Physics. This selection contains 225 climate related papers published in JOSA. There are not many papers related directly to climate, but most of the papers below are studying the infrared absorption properties of greenhouse gases. Some of the latest papers on climate change impacts on cryosphere are shown below. First a few highlighted papers with abstracts and then a list of some other papers. If this subject interests you, be sure to check also the other papers – they are by no means less interesting than the highlighted ones. Abstract: We employ Sentinel-1a C band satellite radar interferometry data in Terrain Observation with Progressive Scans mode to map the grounding line and ice velocity of Pope, Smith, and Kohler glaciers, in West Antarctica, for the years 2014–2016 and compare the results with those obtained using Earth Remote Sensing Satellites (ERS-1/2) in 1992, 1996, and 2011. We observe an ongoing, rapid grounding line retreat of Smith at 2 km/yr (40 km since 1996), an 11 km retreat of Pope (0.5 km/yr), and a 2 km readvance of Kohler since 2011. The variability in glacier retreat is consistent with the distribution of basal slopes, i.e., fast along retrograde beds and slow along prograde beds. We find that several pinning points holding Dotson and Crosson ice shelves disappeared since 1996 due to ice shelf thinning, which signal the ongoing weakening of these ice shelves. Overall, the results indicate that ice shelf and glacier retreat in this sector remain unabated. Abstract: We assess the recent contribution of the Greenland ice sheet (GrIS) to sea level change. We use the mass budget method, which quantifies ice sheet mass balance (MB) as the difference between surface mass balance (SMB) and solid ice discharge across the grounding line (D). A comparison with independent gravity change observations from GRACE shows good agreement for the overlapping period 2002–2015, giving confidence in the partitioning of recent GrIS mass changes. The estimated 1995 value of D and the 1958–1995 average value of SMB are similar at 411 and 418 Gt yr−1, respectively, suggesting that ice flow in the mid-1990s was well adjusted to the average annual mass input, reminiscent of an ice sheet in approximate balance. Starting in the early to mid-1990s, SMB decreased while D increased, leading to quasi-persistent negative MB. About 60 % of the associated mass loss since 1991 is caused by changes in SMB and the remainder by D. The decrease in SMB is fully driven by an increase in surface melt and subsequent meltwater runoff, which is slightly compensated by a small (< 3 %) increase in snowfall. The excess runoff originates from low-lying (< 2000 m a.s.l.) parts of the ice sheet; higher up, increased refreezing prevents runoff of meltwater from occurring, at the expense of increased firn temperatures and depleted pore space. With a 1991–2015 average annual mass loss of ~ 0.47 ± 0.23 mm sea level equivalent (SLE) and a peak contribution of 1.2 mm SLE in 2012, the GrIS has recently become a major source of global mean sea level rise. Abstract: A strengthening of the Amundsen Sea Low from 1979-2013 has been shown to largely explain the observed increase in Antarctic sea ice concentration in the eastern Ross Sea and decrease in the Bellingshausen Sea. Here we show that while these changes are not generally seen in freely-running coupled climate model simulations, they are reproduced in simulations of two independent coupled climate models; one constrained by observed sea surface temperature anomalies in the tropical Pacific, and the other by observed surface wind-stress in the tropics. Our analysis confirms previous results and strengthens the conclusion that the phase change in the Interdecadal Pacific Oscillation from positive to negative over 1979-2013 contributed to the observed strengthening of the Amundsen Sea Low and associated pattern of Antarctic sea ice change during this period. New support for this conclusion is provided by simulated trends in spatial patterns of sea ice concentrations that are similar to those observed. Our results highlight the importance of accounting for teleconnections from low to high latitudes in both model simulations and observations of Antarctic sea ice variability and change. Abstract: Himalayan glaciers are important natural resources and climate indicators for densely populated regions in Asia. Remote sensing methods are vital for evaluating glacier response to changing climate over the vast and rugged Himalayan region, yet many platforms capable of glacier mass balance quantification are somewhat temporally limited due to typical glacier response times. We here rely on declassified spy satellite imagery and ASTER data to quantify surface lowering, ice volume change, and geodetic mass balance during 1974–2006 for glaciers in the eastern Himalayas, centered on the Bhutan–China border. The wide range of glacier types allows for the first mass balance comparison between clean, debris, and lake-terminating (calving) glaciers in the region. Measured glaciers show significant ice loss, with an estimated mean annual geodetic mass balance of −0.13 ± 0.06 m w.e. yr−1 (meters of water equivalent per year) for 10 clean-ice glaciers, −0.19 ± 0.11 m w.e. yr−1 for 5 debris-covered glaciers, −0.28 ± 0.10 m w.e. yr−1 for 6 calving glaciers, and −0.17±0.05 m w.e. yr−1 for all glaciers combined. Contrasting hypsometries along with melt pond, ice cliff, and englacial conduit mechanisms result in statistically similar mass balance values for both clean-ice and debris-covered glacier groups. Calving glaciers comprise 18 % (66 km2) of the glacierized area yet have contributed 30 % (−0.7 km3) to the total ice volume loss, highlighting the growing relevance of proglacial lake formation and associated calving for the future ice mass budget of the Himalayas as the number and size of glacial lakes increase. Abstract: Projections of 21st century Northern Hemisphere (NH) spring snow cover extent (SCE) from two climate model ensembles are analyzed to characterize their uncertainty. The Fifth Coupled Model Intercomparison Project (CMIP5) multi-model ensemble exhibits variability due to both model differences and internal climate variability, whereas spread generated from a Canadian Earth System Model large ensemble (CanESM-LE) experiment is solely due to internal variability. The analysis shows that simulated 1981-2010 spring SCE trends are slightly weaker than observed (using an ensemble of snow products). Spring SCE is projected to decrease by -3.7±1.1% decade-1 within the CMIP5 ensemble over the 21st century. SCE loss is projected to accelerate for all spring months over the 21st century, with the exception of June (because most snow in this month has melted by the latter half of the 21st century). For 30-year spring SCE trends over the 21st century, internal variability estimated from CanESM-LE is substantial, but smaller than inter-model spread from CMIP5. Additionally, internal variability in NH extratropical land warming trends can affect SCE trends in the near-future (R2 = 0.45), while variability in winter precipitation can also have a significant (but lesser) impact on SCE trends. On the other hand, a majority of the inter-model spread is driven by differences in simulated warming (dominant in March, April, May), and snow cover available for melt (dominant in June). The strong temperature/SCE linkage suggests that model uncertainty in projections of SCE could be potentially reduced through improved simulation of spring season warming over land. Some of the latest papers on climate change impacts on biosphere are shown below. First a few highlighted papers with abstracts and then a list of some other papers. If this subject interests you, be sure to check also the other papers – they are by no means less interesting than the highlighted ones. Abstract: Shifts of distributions have been attributed to species tracking their fundamental climate niches through space. However, several studies have now demonstrated that niche tracking is imperfect, that species’ climate niches may vary with population trends, and that geographic distributions may lag behind rapid climate change. These reports of imperfect niche tracking imply shifts in species’ realized climate niches. We argue that quantifying climate niche shifts and analyzing them for a suite of species reveal general patterns of niche shifts and the factors affecting species’ ability to track climate change. We analyzed changes in realized climate niche between 1984 and 2012 for 46 species of North American birds in relation to population trends in an effort to determine whether species differ in the ability to track climate change and whether differences in niche tracking are related to population trends. We found that increasingly abundant species tended to show greater levels of niche expansion (climate space occupied in 2012 but not in 1980) compared to declining species. Declining species had significantly greater niche unfilling (climate space occupied in 1980 but not in 2012) compared to increasing species due to an inability to colonize new sites beyond their range peripheries after climate had changed at sites of occurrence. Increasing species, conversely, were better able to colonize new sites and therefore showed very little niche unfilling. Our results indicate that species with increasing trends are better able to geographically track climate change compared to declining species, which exhibited lags relative to changes in climate. These findings have important implications for understanding past changes in distribution, as well as modeling dynamic species distributions in the face of climate change. Abstract: The study of phylogenetic conservatism in alpine plant phenology is critical for predicting climate change impacts; currently we have a poor understanding of how phylogeny and climate factors interactively influence plant phenology. Therefore, we explored the influence of phylogeny and climate factors on flowering phenology in alpine meadows. For two different types of alpine plant communities, we recorded phenological data, including flowering peak, first flower budding, first flowering, first fruiting and the flowering end for 62 species over the course of 5 years (2008–2012). From sequences in two plastid regions, we constructed phylogenetic trees. We used Blomberg’s K and Pagel’s lambda to assess the phylogenetic signal in phenological traits and species’ phenological responses to climate factors. We found a significant phylogenetic signal in the date of all reproductive phenological events and in species’ phenological responses to weekly day length and temperature. The number of species in flower was strongly associated with the weekly day lengths and followed by the weekly temperature prior to phenological activity. Based on phylogenetic eigenvector regression (PVR) analysis, we found a highly shared influence of phylogeny and climate factors on alpine species flowering phenology. Our results suggest the phylogenetic conservatism in both flowering and fruiting phenology may depend on the similarity of responses to external environmental cues among close relatives. Abstract: Nineteen subpopulations of polar bears (Ursus maritimus) are found throughout the circumpolar Arctic, and in all regions they depend on sea ice as a platform for traveling, hunting, and breeding. Therefore polar bear phenology – the cycle of biological events – is linked to the timing of sea-ice retreat in spring and advance in fall. We analyzed the dates of sea-ice retreat and advance in all 19 polar bear subpopulation regions from 1979 to 2014, using daily sea-ice concentration data from satellite passive microwave instruments. We define the dates of sea-ice retreat and advance in a region as the dates when the area of sea ice drops below a certain threshold (retreat) on its way to the summer minimum or rises above the threshold (advance) on its way to the winter maximum. The threshold is chosen to be halfway between the historical (1979–2014) mean September and mean March sea-ice areas. In all 19 regions there is a trend toward earlier sea-ice retreat and later sea-ice advance. Trends generally range from −3 to −9 days decade−1 in spring and from +3 to +9 days decade−1 in fall, with larger trends in the Barents Sea and central Arctic Basin. The trends are not sensitive to the threshold. We also calculated the number of days per year that the sea-ice area exceeded the threshold (termed ice-covered days) and the average sea-ice concentration from 1 June through 31 October. The number of ice-covered days is declining in all regions at the rate of −7 to −19 days decade−1, with larger trends in the Barents Sea and central Arctic Basin. The June–October sea-ice concentration is declining in all regions at rates ranging from −1 to −9 percent decade−1. These sea-ice metrics (or indicators of habitat change) were designed to be useful for management agencies and for comparative purposes among subpopulations. We recommend that the National Climate Assessment include the timing of sea-ice retreat and advance in future reports. Abstract: 1.Rainfall is a key determinant of production and composition in arid and semiarid systems. Long-term studies relating composition and water availability primarily focus on current-year precipitation patterns, though mounting evidence highlights the importance of previous-year rainfall particularly in grasslands dominated by perennial species. The extent to which lagged precipitation effects occur in annual grasslands, however, remains largely unexplored. 2.We pair a long-term study with two manipulative experiments to identify patterns and mechanisms of lagged precipitation effects in annual grasslands. The long-term study captured variation in functional group (exotic annual forbs and grasses) abundance and precipitation across eight years at three northern California grassland sites. We then tested whether lagged rainfall effects were created through seed production and litter (residual dry matter) by manipulating rainfall and litter, respectively. 3.Rainfall from the previous-year growing season (both seasonal and total rainfall) shifted functional group abundance. High lagged rainfall was associated with increased grass and decreased forb abundance the following year. Current-year seasonal rainfall also influenced species composition, with winter rain increasing forb and decreasing grass abundance. Lagged precipitation effects were generally stronger for forbs than for grasses. Our experimental studies provided evidence for two mechanisms that contributed to lagged effects in annual grasslands. Higher rainfall increased seed production for grasses, which translated to more germinable seed the following year. Higher rainfall also increased biomass production and residual dry matter, which benefited grasses and reduced forb abundance. 4.Synthesis. Our results highlight the importance of previous-year precipitation in structuring annual community composition and suggest two important biotic pathways, seed rain and RDM, that regulate lagged community responses to rainfall. Incorporating lagged effects into models of grassland diversity and productivity could improve predictions of climate change impacts in annual grasslands. Abstract: Anthropogenic climate change is rapidly becoming one of the main threats to biodiversity, along with other threats triggered by human-driven land-use change. Species are already responding to climate change by shifting their distributions polewards. This shift may create a spatial mismatch between dynamic species distributions and static protected areas (PAs). As protected areas represent one of the main pillars for preserving biodiversity today and in the future, it is important to assess their contribution in sheltering the biodiversity communities they were designated to protect. A recent development to investigate climate-driven impacts on biological communities is represented by the community temperature index (CTI). CTI provides a measure of the relative temperature average of a community in a specific assemblage. CTI value will be higher for assemblages dominated by warm species compared to those dominated by cold-dwelling species. We here model changes in the CTI of Finnish bird assemblages, as well as changes in species densities, within and outside of PAs during the past four decades in a large boreal landscape under rapid change. We show that CTI has markedly increased over time across Finland, with this change being similar within and outside PAs and five to seven times slower than the temperature increase. Moreover, CTI has been constantly lower within than outside of PAs, and PAs still support communities which show colder thermal index than those outside of PAs in the 70s and 80s. This result can be explained by the higher relative density of northern species within PAs than outside. Overall, our results provide some, albeit inconclusive, evidence that PAs may play a role in supporting the community of northern species. Results also suggest that communities are however shifting rapidly, both inside and outside of PAs, highlighting the need for adjusting conservation measures before it’s too late.